A suspect has been charged in connection to an attempt murder in Santa Monica and three additional home invasion robberies in Southern California. 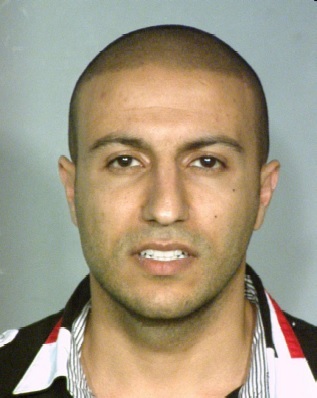 The suspect is identified as Vacho Shahen, a 32 year-old male from Las Vegas. In the early morning of August 28, 2016, officers from the Santa Monica Police Department (SMPD) responded to a radio call for service of shots fired at a residence in the 600 block of Adelaide Drive. Officers discovered the homeowner shot once in the torso after what was determined to be a failed robbery attempt. The victim was transported to UCLA Hospital where he survived his injuries. During the investigation, SMPD Detectives and Forensics Unit discovered DNA evidence at the scene, which later linked Shahen to three previous home invasion robberies in Beverly Hills and Downey. There is no link between the victims in any of the incidents. Anyone with additional information is encouraged contact Detective Goodwin at 310-458-8942; Sgt. Skogh at 310-458-8992; or the Santa Monica Police Department at (310) 458-8491.